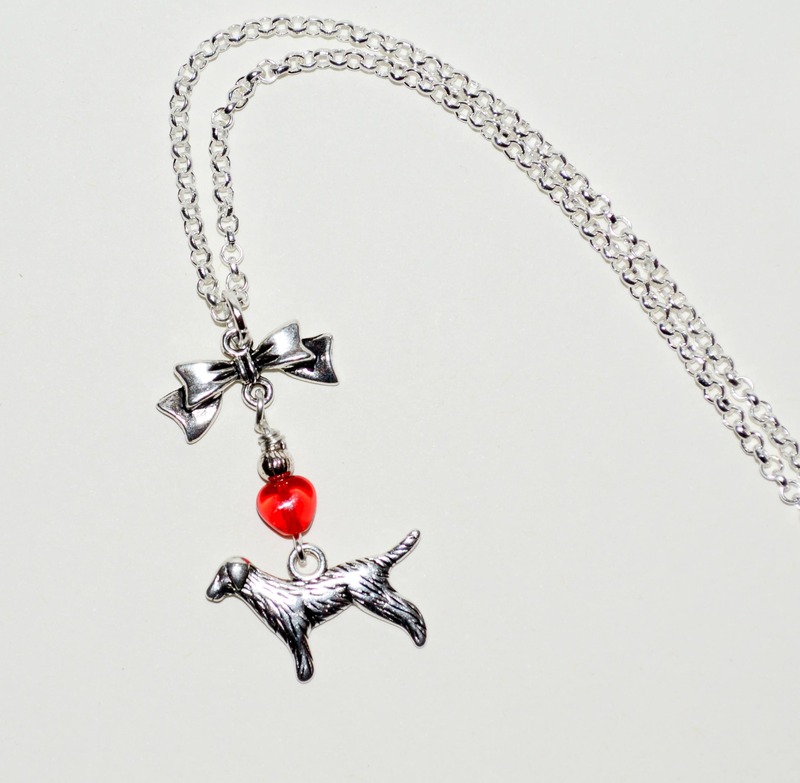 This sweet necklace stars a little dog charm - I'll be honest and say I have no idea which breed, but I'm thinking either a Setter or a Retriever? I'm hoping an expert will let me know! 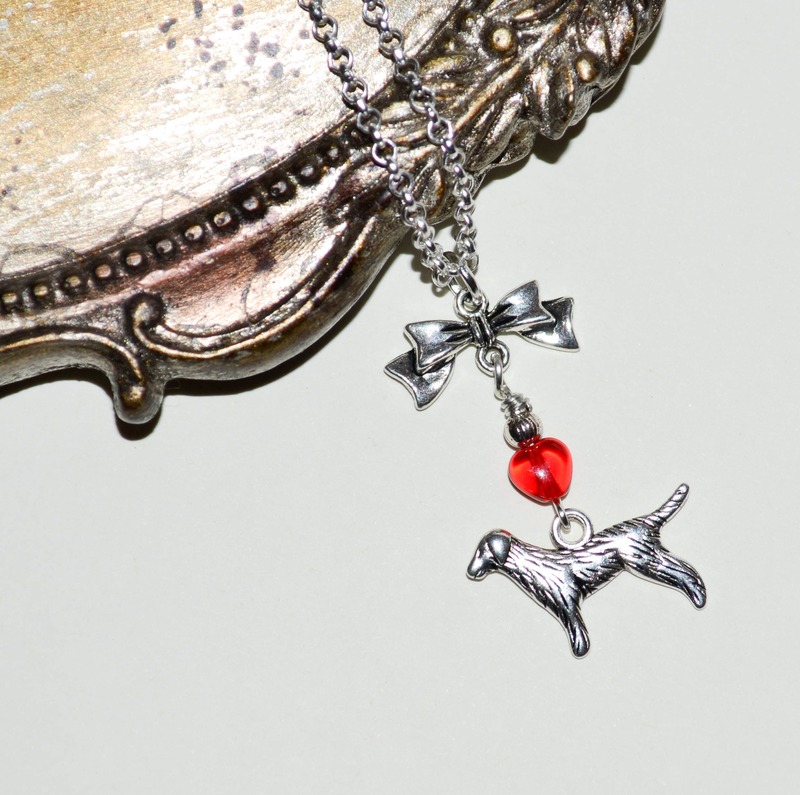 The detailed charm is topped with a pretty red glass heart, a little silver pumpkin style spacer bead, and a pretty bow charm. 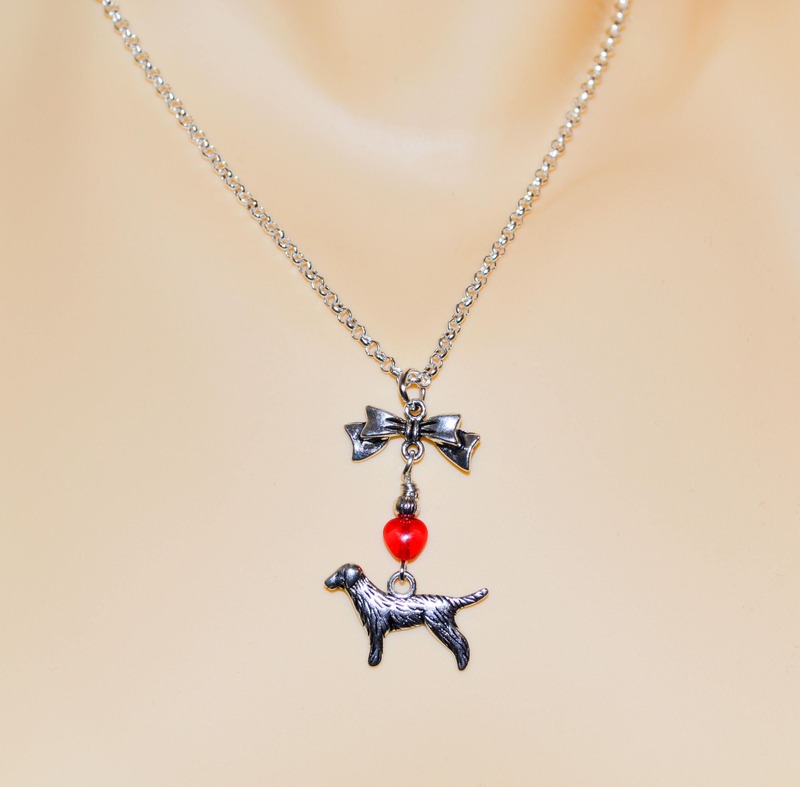 The pendant drop is hanging from a silver plated chain in your choice of length, and fastens with a lobster claw clasp. 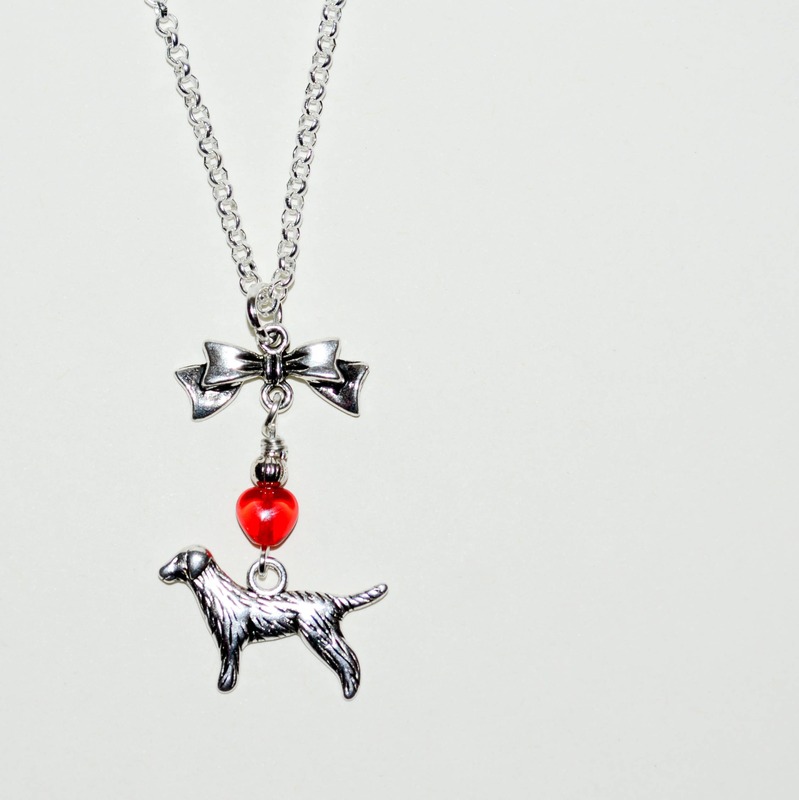 The total drop of the pendant is around 1.5"/4cm. 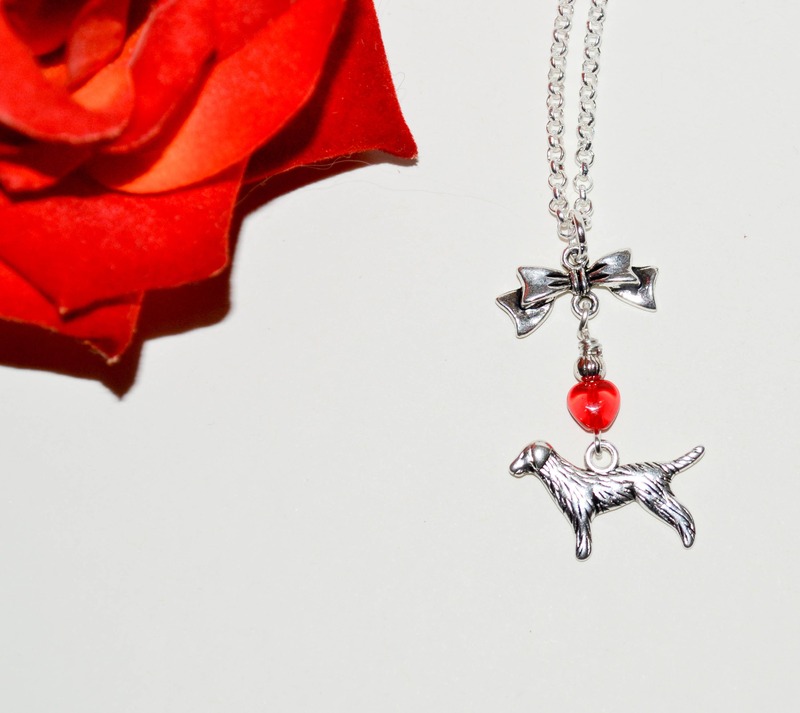 For all the dog lovers!